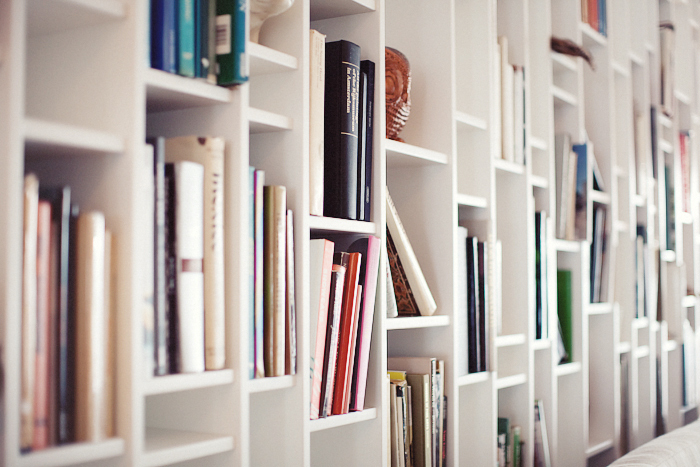 How cool are these bookshelves? I just love how original they are. They spark one of those “ah ha, oh yesss” moments in your head and just push you to look at things a little bit differently. I love when something does that, don’t you? These are from a Kate Spade inspiration shoot from 2010 (one of my favorites!) which I just happened to come across again. And I’m glad I did. As we kick off 2012, I’m eager to be surrounded by fresh ideas and new perspectives, just like this one. I hope everyone’s return to the real world has been fairly painless today. Do something to treat yourself tonight! I’m going to yoga and reading the new Matchbook Mag from cover to cover. Posted January 3, 2012 in Design by Nikki. Oh! I love them. I also spy a super cute owl, too! So cute, and I love the idea of making books (and the displaying thereof!) more like art. Those are so pretty! I’ve never seen them before, and I’m flat out obsessed with bookshelves so I’m glad you posted them. Thanks for reminding me of Matchbook too, now I’m excited for the new issue! Looks very fresh and clean. 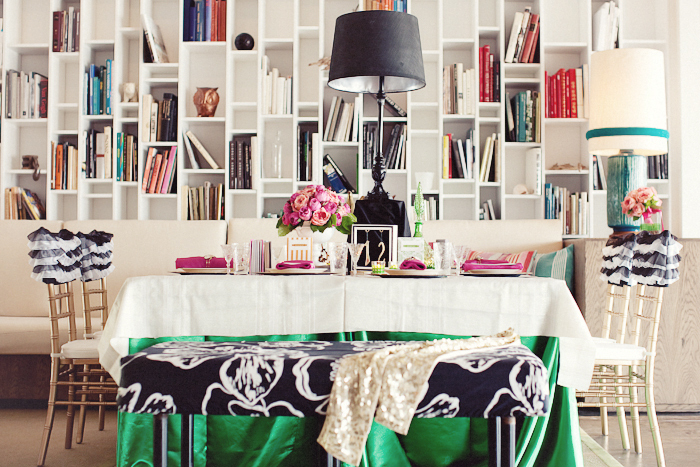 I ADORE that bookcase! So unique. Such a simple feature that creates so much visual interest in the room! cannot wait to read matchbook mag! seriously my favorite magazine ever!